Written by Yuliya Valko on 01/12/2018. 2018 has just started and it's high time to set new ambitious goals for the New Year. If you want to lead the market it is not only important to be ahead of your competitors but to be ahead of your previous self. It's hard to imagine a more powerful tool than technology to help you advance in business and in life. You have of course realized that digital transformation should be taken seriously. The truth is that the ones who fail to embrace new technology and successfully implement it into their daily operations will be left behind. So, your task is to follow the new trends in the world of technology and innovation and find what fits best for you. Artificial intelligence is still in its infancy but it will continue to enter more and more areas of business and life. AI is probably one of the hottest topics in tech and business environments around the globe. However, if we look deeper into most of the developments that call themselves AI we will find that they are not more than just rule-based machine learning, neural networks, and pattern recognition systems that were invented decades ago. In 2018 we will see more and more real practical AI applications. Until this moment most of applications were pretty much academic and tailored towards one purpose only. For example, IBM Watson – one of its first applications – was using IBM Watson for oncology treatment. They trained the AI in that field and that was pretty much all it could do. We will see that a lot of AI applications will move beyond the conception stage and become more practical and much more multi-purpose as well as generally available to public. More or less anyone will be able to adapt it and use it as a set of tools to create new applications. AI will improve chatbots, making them more indistinguishable from a real human interaction. It will help to fulfil the emotional needs of the people whom they are made for and improve customer experience greatly, which is vital for success of any organization. Here you can explore 7 Amazing applications of artificial intelligence in business in more detail. Big Data will maintain its influence in the global economy. With the development of innovative technology, including IoT, the sources for big data are constantly growing. But as it can take a couple of years and sometimes even decades to collect data and use it for analytics, most companies are just in the process discovering what they can do with it. That's why those companies that will be the first ones to turn their data into something valuable and render it flexible enough to make the necessary transformations will lead the market. Internet of Things will keep expanding its use in industrial automation. It will help to solve the problem of automation of the type of machinery that is not connected to the Internet and finally include it in the digital workflow. This will also result in the creation of additional sources for big data generation. Here are The top 20 industrial IoT applications in use by the most innovative companies around the world. Industrial IoT applications will streamline the development of smart manufacturing in particular. Unlike many software development and manufacturing businesses, they don't require a lot of investment. With Robots, 3D-printing and laser technology becoming cheaper every day as well as much more accessible to the public, the burden of getting started with a manufacturing business is decreasing and we will see a growing number of start-ups in that field. Click on the link to learn more about Industry 4.0 and the 5 trends for the future of manufacturing. Blockchain will be used not only for transferring value, meaning money or funds, but also for many other business transactions and anything that needs a central registry. At this moment, when people are talking about blockchain most of the time they refer to digital currency. One of the main applications is using blockchain to store securely and centrally their information on transactions. Here is the growing list of applications and use cases of blockchain technology in business & life that might give you some new ideas about how to leverage blockchain to your advantage. As we can see the technology is progressing with lightning speed and sometimes the changes come faster than we are prepared for them. What we consider as a future prediction today, tomorrow will already become a part of our routine. Keeping up with new trends is certainly very important for strengthening your position on the market but always remember to swiftly communicate any upcoming changes to your team. As the success of your organization is depending a lot on how fast and successful your team will be in adopting and implementing your innovative ideas. 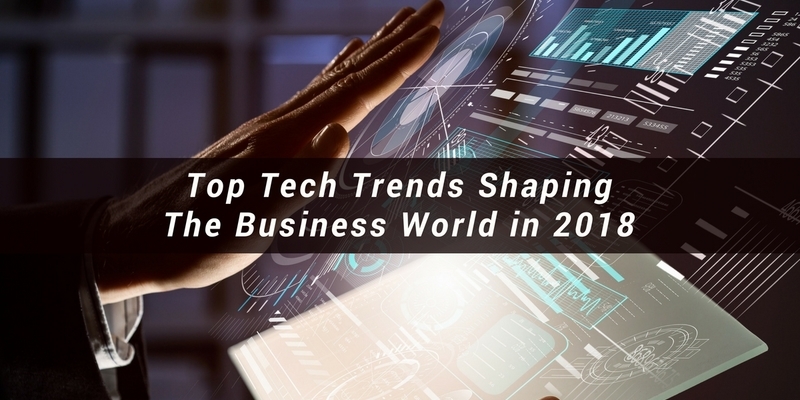 So, do you know how you are going to leverage the latest technology trends? Remember that we are always here for you to help with any stage of digitization of your business.